Independent parliamentary candidate Abu Backer Sideck is having yet another issue related with transportation, this time with his own campaign caravan. 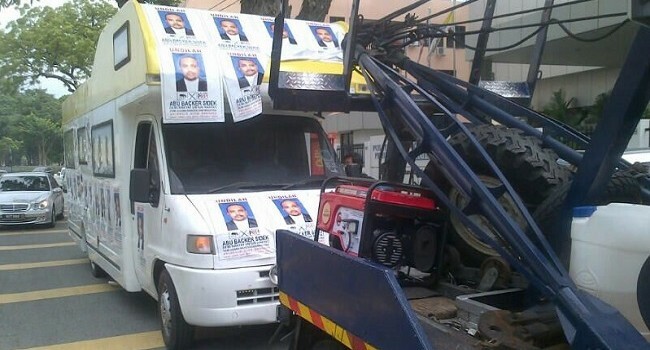 Bukit Gelugor independent parliamentary candidate Abu Backer Sidek Mohd Zan's campaign caravan was towed away by authorities for flouting parking regulations. The caravan was parked in an excursion bus parking lot along Jalan Magazine overnight. A check with Penang Island Municipal Council (MPPP) traffic enforcement department found that the caravan was not towed by them, but possibly by police. It is learnt that the caravan had faced problems before and had also broken down in Ipoh previously. It was learnt that Abu Backer's campaign workers had parked the vehicle there as it was next to the hotel which they had used as their campaign base. Penang Island Municipal Council officials are not available for comment. Controversial Bukit Gelugor Independent candidate Abu Backer Sideck Md Zan will officially begin his campaign rounds after Friday prayers, two days before polling day on Sunday. He is expected to campaign using a horse-pulled caravan which is seen parked in front of the Traders Hotel in Jalan Magazine. Asked how he is going to campaign riding a horse, his assistant replied that he would be riding it with Backer in the caravan. 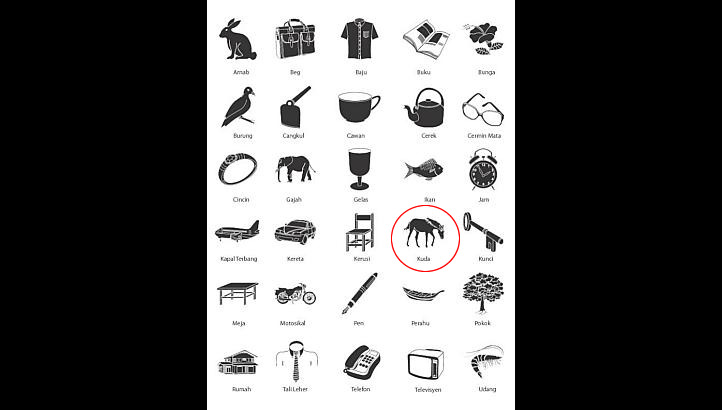 He explained that the delay was caused by his application to Election Commission (EC) to have his election symbol of a horse changed from the current ‘head down’ look, to one ‘looking up’. But in its reply yesterday, the EC has insisted that he must use the given ‘head down’ down symbol. 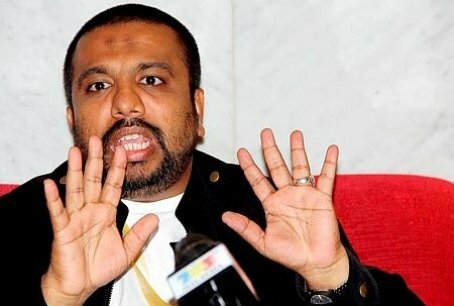 Abu Backer had arrived at the state legislative assembly at noon to pass an invitation letter to the Chief Minister Lim Guan Eng to attend a hudud forum and a complaint on difficulty in securing locations to organise rallies for his campaign. “I'm here to fight for the people. I am also Malaysian and a Penangite, they should allow me in, I just want to forward my complaints,” he shouted after being prevented from entering the assembly grounds. Independent candidate Abu Backer Sidek Mohamad Zan has “forgiven” Penang Chief Minister Lim Guan Eng for the injuries allegedly sustained when he threw himself in front of Lim’s official car. As such, he said he has decided he would not be suing Lim and is still keen on meeting with him, even if just for two minutes. Our Head of Content formed Day 1 of SAYS with strokes of her keyboard and help from weird things from the Internet. She has a furry dog.